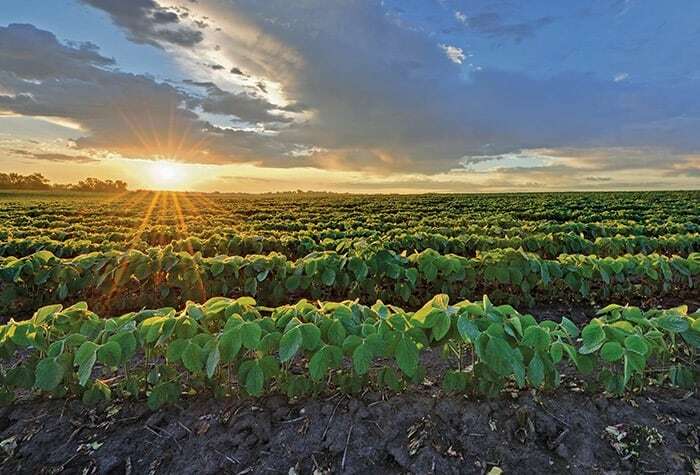 The sun rises over a soybean field in rural Minnesota.
.@SyngentaUS is releasing 32 new #NKcorn hybrids and 18 new #NKsoybean varieties for the 2019 growing season. The new NK soybean varieties protect against a range of yield-robbing diseases and pests, including sudden death syndrome, sclerotinia white mold and soybean cyst nematodes. NK breeders and researchers use an award-winning system of data analytics to pinpoint the characteristics most likely to help maximize yields. As a result, they’re able to deliver a range of new hybrids and varieties to market faster than ever before. “In today’s competitive industry, it’s important for growers to have access to the most advanced technology,” says Scott Erickson, soybean product manager for NK.